Ever growing retailer, manufacturer and wholesale distributor Bodybuilding Warehouse are the UK’s leading online sports supplements company based in Manchester. Shooters Media have developed over 65 videos for the company, which include product spots, exercise tips and informative interviews with staff and big names in the bodybuilding community. 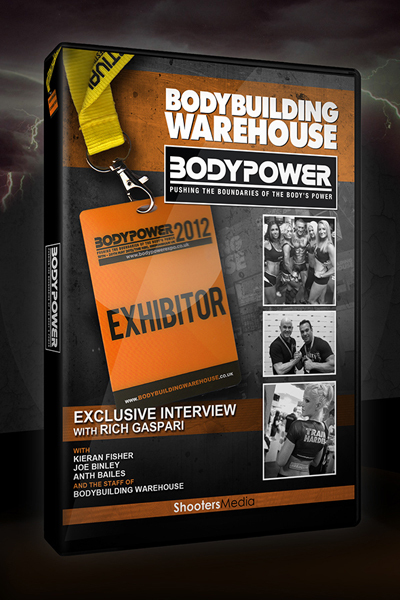 Shooters travelled down to the Body Power Exhibition at NEC in Birmingham to document Bodybuilding Warehouse’s growing success in the bodybuilding world. The series of short videos follow the firms incredibly busy staff meeting the high demands of interest while also interviewing the famous faces of the bodybuilding community. 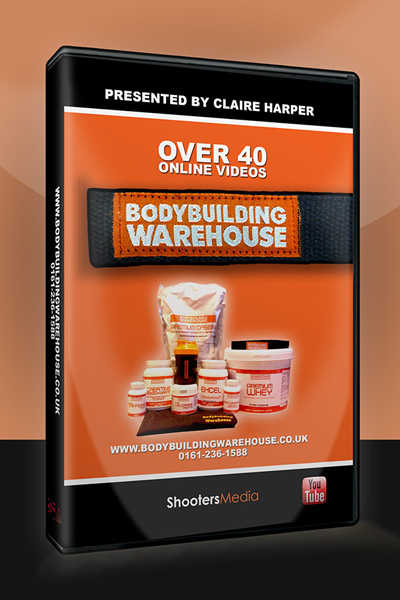 With an incredible and fast growing range of products, Shooters Media developed over 40 product videos to be displayed on the Bodybuilding Warehouse website to help further promote the range with the help of natural bodybuilding champion Claire Harper. The videos were shot using chroma key composition to help produce short and informative advertisements. As a valued part of the bodybuilding community, Bodybuilding Warehouse freely share engaging exercise and good health tips to its customers which are hosted on their website and social media channels, such as Facebook and Twitter. The professionally filmed, bite-size videos inform and educate the best practices to stay in the right shape for the correct bodybuilding path for both professionals looking at competition preparation and those just looking to keep fit. In this series of videos, Norfolk based Ollie Matthews demonstrates the correct way to use gym equipment. Matthews is a fully qualified personal trainer and one Europe’s top performance specialists and specialises in triathlete nutrition. He has featured in Men’s Fitness, Personal Trainer Magazine, Bonk Triathlon, Juggernaut Training and is one of Bodybuilding Warehouses sponsored athletes. Matthews works with clients both on-line and in selected gyms around Norwich, tailoring fitness plans for their individual goals and needs with great success.